Melody Meyer is Vice President of Policy and Industry Relations for United Natural Foods Inc. — more familiarly known as UNFI — which is the leading independent national distributor of natural, organic and specialty foods, and related products in the United States. She is responsible for communicating and educating all stakeholders on critical industry issues, and attends many industry events, including FamilyFarmed‘s recent 11th annual Good Food Festival & Conference, where she was a panelist at the Opening Symposium. Her column here, about her upcoming trip to participate in the Organic Trade Association‘s Policy Conference and Capitol Hill visit, is republished with permission from her Organic Matters blog on the UNFI website. I am excited about attending the OTA Policy Conference and Hill visit next week, April 14-16, in Washington, D.C. Not only will the cherry blossoms be at their ultimate blushing peak, but the air itself will be flush with excitement. The week that organic advocates descend upon Capitol Hill has come to be regarded as Organic Week in D.C., and for good reason. We always have a battalion of organic stakeholders armed with expert knowledge and a passion for the organic community. It’s one of the reasons that organic had so many wins in the 2014 Farm Bill! It’s nearly a sold-out event so if you haven’t already registered, do try to attend. If you cannot, then plan some time to visit the nation’s capital in the months ahead. 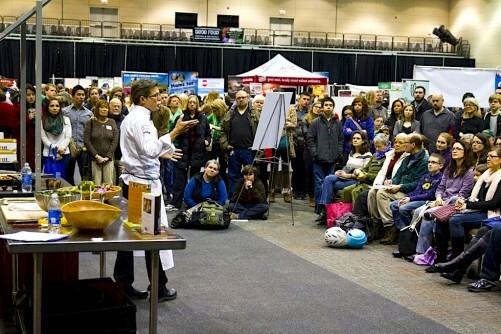 Here are three organic reasons to visit Washington, D.C. this year! 1) The 114th United States Congress is filled with new members who need to be educated about our issues . We haven’t seen this many new members of Congress since the Great Depression! There are 13 new senators (12 Republicans, 1 Democrat) and 58 new representatives (43 R, 15 D). With so many newcomers to the Hill, we need to educate them on the value and the impact that organic has in their communities. We all have stories about the growth of organic product and the jobs that are created in the rural and urban areas. Let’s tell our stories! Our leaders need to realize that consumer demand continues to grow, and now 84 percent of American consumers purchase organic food. 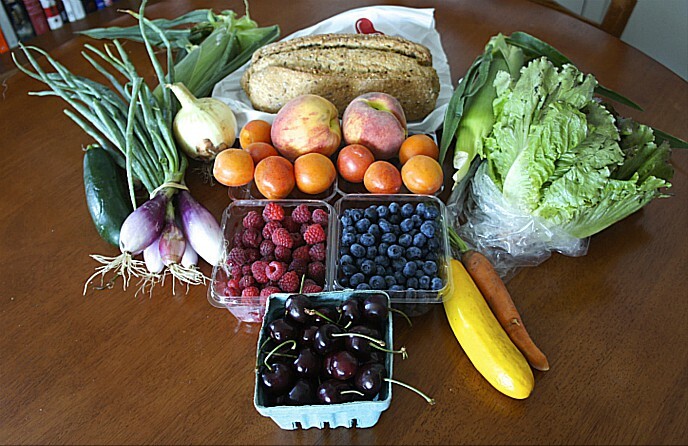 Organic is a great way to stimulate and grow local and regional economies. They also need to realize that organic production is having a very hard time keeping up with demand. The drastic supply shortages, such as in grains, dairy, and eggs, create one of the greatest challenges facing the industry and consumers today. While organic food sales make up 4 percent of total food sales, the acreage devoted to organic agriculture is less than 1 percent of total U.S. cropland. The opportunity for rural America to expand organic acreage is huge. Point this out and urge our leaders to support programs that transition acreage from conventional to organic. 2) We must deepen relationships between the organic food sector and members of Congress. Be they Republicans or Democrats, they are our elected leaders. Making personal visits reinforces existing relationships and cultivates new organic champions. These are tough budgetary times and domestic cuts are clearly Congress’ appetite. Fighting to keep additional funding levels for organic programs we secured in the 2014 Farm Bill is imperative! Securing funding for the National Organic Program (NOP) is also on the table. Our leaders need to understand that this small department in the USDA presides over and supports a $35 billion per year industry and has encouraged 20 percent average growth over the last decade, including double-digit growth in 2010-2013. 3) We can influence policy and budget decisions made in Congress. 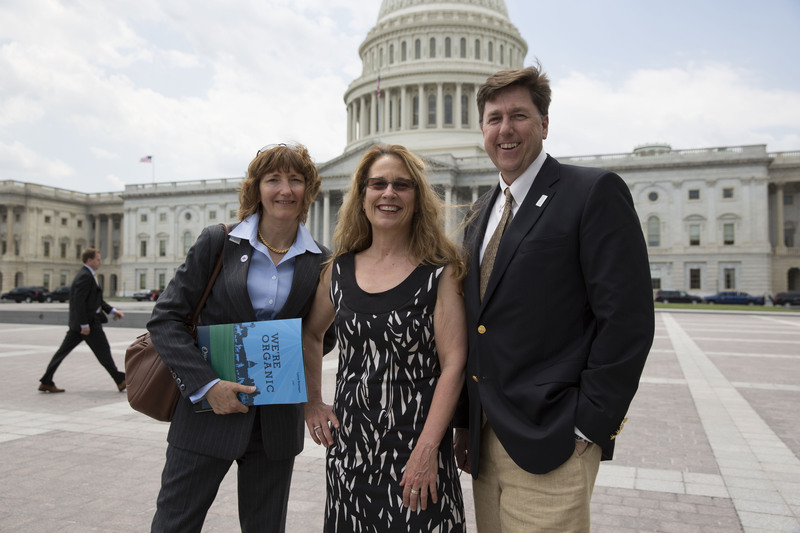 Melody Meyer (center) and other members of UNFI’s leadership team during an earlier visit to the Capitol in Washington, D.C.
First we must demand that all agricultural programs be examined for fairness and efficiencies. I believe that organic isn’t getting its fair shake in terms of federal funding in many areas. Congress needs to look at the growth and opportunity, and fund organic with the same weight as other programs when taking their potential into consideration. Funding research for traditionally bred seeds is a small fraction of the funding for genetically engineered seeds. Since organic farmers can only use non-GMO seeds, this lack of research puts them at a distinct disadvantage in our age of changing climates. Organic research in general is sorely lacking and the barriers to organic transition can be addressed in a new program called the Organic Transitions Integrated Research Program (ORG). ORG helps meet farmers’ research and extension needs so they can be successful. An investment in research underpins continued growth in the organic sector. Funding for the Organic Data Initiative (ODI) must be continued! ODI provides critical data is necessary for organics to survive and grow. The funding will allow the USDA to continue and expand organic price reporting services, and to continue work on the next Organic Production Survey. The USDA has only just begun to track prices on organic commodities. Organic producers need to know what to plant and when to plant it! They also rely on historical price data for insurance purposes. The School Food Organic Pilot Program is a pilot program that would allow healthy and nutritious organic foods to be included in our school kids’ lunches, at no increased cost to school districts. The Child Nutrition Act may be rewritten this fall and now is the time to fund this program, so our children can enjoy the benefits of organic at school. With our 114th Congress firmly in place, it is important to befriend and educate them. Let’s make Congress our allies in creating a world where organic agriculture flourishes. If you aren’t going to the OTA Policy Conference take time out of your schedule to call or visit your Congressional leaders. Won’t you be part of the movement to take organic to the next level? Get thee to Washington! This entry was posted in Farm Bill, Federal farm subsidies, Food education, Food policy, Good Food business development, Good Food Festivals, Good Food movement, Good Food Policymaking, Natural food and products industry, Organic farming, Sustainable food systems and tagged FamilyFarmed, farm policy, federal farm policy, federal food policy, federal organics policy, Food Policy, food policy making, Good Food Festival & Conference, Organic Trade Association, UNFI, United Natural Foods. Bookmark the permalink.